The retail snack industry is booming! And evolving everyday as new products get introduced, new variants get innovated and new consumer preferences get fulfilled. One thing across the board, for all snacks is the packaging – and the expectations from it. Snack packaging must fulfill 4 vital functions. It must preserve the snack in its original form, flavor and freshness. After all, the real enjoyment of snacking comes from its crunch, its crispiness. So the packaging should help to preserve the crunch of the contents. Safe handling is another vital function. India has a huge variety of snacks and namkeen, each of a different shape and fragility. Packaging must protect and maintain the inherent fragility and odd shape of the snack – whether it is a thin potato chip or a 3D snack or puffed snack. Packaging must also ensure the product reaches the end-consumer intact. Indian snacks have to travel miles, across states and even across oceans to reach the consumer. Modern packaging must protect your snack products throughout the shipping process, right from factory to retail shelf. On the shelf, packaging must achieve the ultimate objective: sell the product and build your brand. Your product packaging must sell your products by attracting and motivating customers to buy your products! Almost up to 50% of your product sale is completely dependent on the type and quality of your packaging! Hence, selecting a snack packaging format and snacks packaging machine must be thought out carefully. You need a renowned snacks packaging machines manufacturer to ensure the right kind of packaging that will protect your products from any type of damage while preserving the crunch and taste. Nichrome is one of the top snacks & namkeen packaging machine manufacturers in India. Based in Pune, Nichrome offers international quality snacks packing machines that deliver higher speed and maximum accuracy ensuring minimal product wastage. 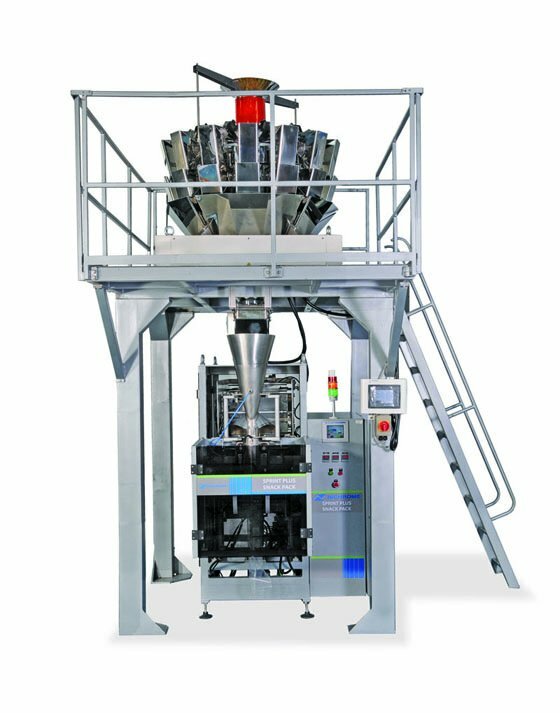 The potato chips packing machine also provides various innovative and integrated snacks packaging solutions for a variety of products, like chips, chivda, puffed snacks, namkeen, biscuits besides wrapped candies, breakfast cereals, pasta, seeds, dry fruits, etc. Nichrome’s Snackpack and Namkeenpack automatic snack packaging machines deliver speeds of up to 150 packs per minute. Servo-technology helps to reduce and eliminate technical errors in this snacks packaging machine. The gas-filled pouches provide protection for brittle snack products such as potato chips, while the vertical concept of the packaging solution helps to speed up the process. They allow easy format changes to produce CSPP and gusseted pouches of different sizes besides perforated chains of pouches. For more details to improve your snacks business, contact Nichrome, the leading and trusted manufacturer of packaging machines in India.